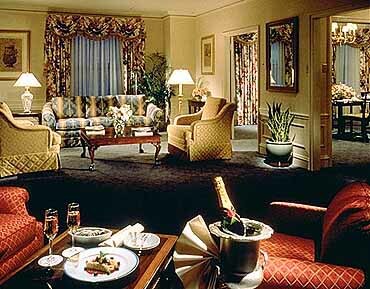 Ambassador East Hotel: One block from the Rush Street nightlife district and walking distance to the shops of North Michigan Avenue. 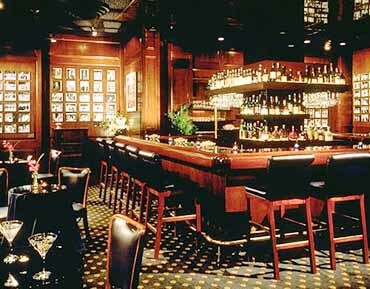 The Ambassador East is renowned for its esteemed service, world-famous Pump Room restaurant and its central location on Chicago's prestigious Gold Coast. 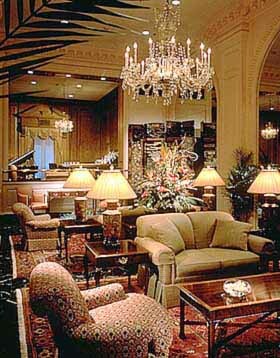 The National Historic Landmark hotel is a member of Historic Hotels of America and prides itself in blending the luxuries of yesterday with state-of-the-art technology of today. The location is superb and convenient to the Chicago Convention and Tourism Bureau, McCormick Place Complex, Soldier Field, one block from the Rush Street nightlife district and walking distance to the shops of North Michigan Avenue. include amenities of: fully-stocked refreshment center, complimentary USA Today delivered to each room, iron and ironing board, hair dryer, plush terry bathrobes in the suites, video check-out, two-line telephones with dataport, computer modem and facsimile hook-up and LodgeNet system featuring on-demand hit movies and Nintendo 64 video games. The Pump Room restaurant has been recently renovated - features French-American cuisine and live jazz music. The Byfields Lounge services cocktails and light fare next to a wood burning fireplace and music of a grand piano for ambience. 24-hour guest room dining is also available. top-of-the-line equipment including treadmills, cross trainer equipment, StarTrac recumbent bike and a Pacific Fitness Universal Gym. Get Fit Kits are available at the front desk for those guests who prefer to work-out in the privacy of their own room. Hotel on-site services include a full-service business center, concierge, barber shop, multi-lingual hotel staff, foreign currency exchange, valet and self parking, van parking and prearranged-complimentary transportation within 10 miles of the hotel from 7 a.m. to 10 p.m.
- including 13 meeting rooms, Gold Coast, Astor and Lake Shore rooms for up to 20 guests. The Pump Room is available for private events hosting up to 250 guests and Byfields Lounge can accommodate 100 guests reception style. The full-service business center includes photocopying, facsimile, translation services, internet access, secretarial services, Notary Public, international newspapers and periodicals and audio/visual services. The professional staff of the Omni Ambassador East Hotel ensures your occasion to be a successful one.